What's Wrong with Using Assets? Discussion in 'General Discussion' started by uonlyliveonce, Nov 6, 2018. There's this one particular game in development that I'm following. I like to see the updates and read the comments but one thing that has always bothered me is that a lot of people criticize the game for using assets from the asset store. Is it such a big deal for a commercial game to use assets from the asset store? Isn't that what the asset store is for? There are a lot of assets that I think would fit into my own game perfectly but reading these comments makes me feel like I have to either heavily edit the assets so people barely recognise them or get original assets or else my game will get made fun of too. Sorry if this is a dumb question or something. I'm feeling kinda dejected right now. It depends, if you're aiming for originality, then you will need *some* original assets. Which can be recognized and solely associated with your game. But it's not a necessity, if you game isn't that big or it's not about the assets really, then does not matter. Even the big AAA games are using assets from previous games, from bought sources. Of course they are the average, everyday object which does not leave any impression. So use the assets and use them wisely. You will know when you need original assets to make the biggest impact. Welcome to the Internet. Some people like to complain for the sake of complaining and the Internet both makes it easy and popular to do so. To quote Jeff Vogel, "It is a human constant that a certain number of people [...] are always going to be mean". I'm feeling kinda dejected right now. By the way this is one of their end goals. To make people feel bad about the choices they made when there was never an actual reason to feel bad about it. If you find that this is affecting you then take the advice of Jeff Vogel. To quote him again, "I have no idea what my Steam reviews are." Ony, GarBenjamin, flashframe and 5 others like this. You want original characters for sure, other than that, nothing is wrong with using assets that are consistent with your style (or not). The only ones that will complain are developers and game "journalists". The average player doesn't give a **** if your palm tree is the same as the palm tree in title X which he played for 37 minutes, 3 years ago. In that time, he got married, got a kid, worked 2 jobs, lost a family member, adopted a dog. Your palm tree is astronomically far away from his concerns, I promise. To make people feel bad about the choices they made when there was never an actual reason to feel bad about it. @LurkingNinjaDev, Ryiah, AntoineDesbiens Thank you for the input. I can(ish) 3D model and I have some semi-original character and enemy assets that I'm working on for my game already. Although I could model things from scratch, I've been using parts of assets or taking royalty-free or cc0 bases and building on top of them to save time (and they end up looking better than my from scratch stuff). I'm working on a long term (5+ year) 3D RPG game. There are some things that I don't really enjoy making as much. I am not too excited (or experienced at) making backgrounds, animations, and special effects and I was hoping to use mostly assets for those. I will have to rig and make animations for the enemies since it's next to impossible to get premade assets for those but I'm using mocap / mixamo / asset animations for the humanoid characters. I see what you mean by everyday objects. I won't worry about trees, rocks, and small household items and furniture is probably OK but is having most of the backgrounds be from assets not good? What about the human animations and effects? One thing I do have confidence in is my texturing skills. There are assets that I feel match pretty well with the style I have set for my game but for the other assets I want to use, I'll have to retexture and either add or blast off some polygons to make sure everything is similar enough in style. 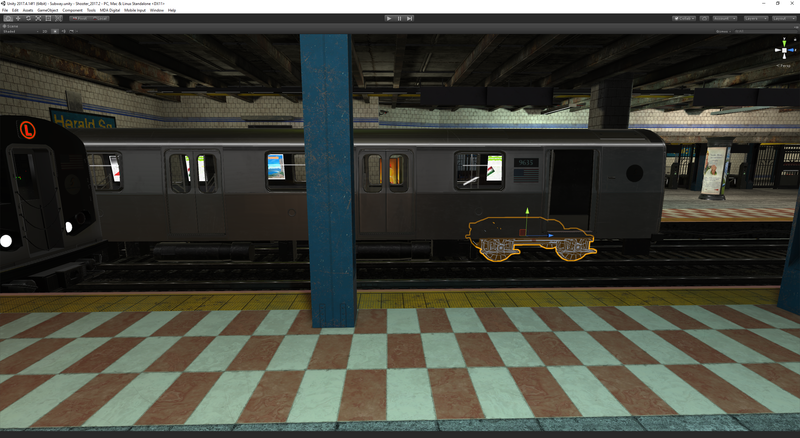 It is possible to use Asset Store assets effectively, but this takes it's own kind of skill. Discrepancy in artistic style is fairly easy for even untrained eyes to spot. It creates a dissonance that makes a visual representation "feel" wrong, even to people who can't consciously recognize it. This sort of discrepancy is common for Asset-heavy projects, as pre-built assets are often constructed by more than one person, and don't adhere to the same artistic style. An experienced developer will try to find assets that fit reasonably well into the same style. Or alternatively, they will alter the assets they get to fit more closely into the same style. (by crafting their own custom shaders or painting new textures) So long as there is consistency, the visual presentation won't be as jarring, and won't offend the average user nearly as much. As far as trolls who just don't like Asset Store assets, forget about them. Their input is not really valuable. As long as an asset has been used properly and judiciously, it doesn't matter where it came from. Then absolutely nothing wrong with using assets. There are a few internet personalities (Jim Sterling) that have made a living off of entertainment videos ripping poor quality games to shreds. They have developed quite a following in many of the lower class areas of the internet. One of the easiest things to pick in many low quality games is the use of assets from the asset store. Jim does a great job at whipping up mob mentality against low effort use of assets. Especially given some of the games he targets are simply uploads of complete game assets with no modification whatsoever. Many of his followers have taken up the witch hunt and made it their quest to punish all developers for using the asset store. Most consumers don't take them seriously, and you can safely ignore their opinions. GameDevCouple_I, Stardog, BIGTIMEMASTER and 1 other person like this. You screw up something major in the game, people start looking for more things you did wrong. But if you get the important parts done right, nobody hardly notices where you cut corners or simply didn't have resources. In most games, especially indie games, the art assets probably don't qualify as top tier important. Focusing too much time and energy into areas that won't make or break the game for fear of rejection or negative reception will sap your energy and waste time. Focus, focus, focus. Know exactly where you are going, and constantly reassess to make sure you are on the best path to get there. The spectators and testers are not the captain of the ship. You are. They are more like seagulls or clouds on the horizon -- you see them, study them, and extract the info you need from them. They are there and they tell you something useful, but you are in charge because you know where the destination is and how to get there. Let's give credit where credit's due, Jim Sterling made an entire video on the theme "There is nothing wrong with using bought assets". He pretty much says the exact same thing as this thread : "As long as you keep visual consistency and add your own personal flavor, there is nothing to worry about". Asset flips that he tears apart (well, teared apart before their release rate reached two-digit a day on Steam) have none of these. newjerseyrunner and Ony like this. It's one thing to do the "asset store flip" and another to use some assets to help along the way. As mentioned above, you want original assets for your "hero" stuff, like main characters, and probably a good portion of your enemies, especially the bigger, often seen, part of the story, types of enemies. But even then, it is one thing to just directly use an asset, and another to actually make it your own. Often, a bit of modification, say texturing, can help immensely with this. Sounds can also use a bit of modification, but I mostly just do some slight run-time pitch and volume shifts on those. And music can directly be used as long as it fits the game well. I for one have no qualms about using the asset store(and other sources) for a great portion of my game's assets. I taking models from one place, applying texture from another(plus some modifications myself, like scratches and whatever), and that is what goes into my game. I already said above what I'm doing for sound and music. Another "trick" I'm doing...my game is a top-down space-shooter(2d gameplay, 3d graphics). Some of the assets I'm likely to use are meant more for closer-up rendering, for 3rd person space shooters, with some maybe even being for non-space shooters, etc... Putting assets into another game genre that they weren't directly meant for(after whatever modifications are needed) can help make it less obvious that you used pre-made assets in the first place, and if the question was ever brought up, there would be no doubt as to the fact that you did some actual work with it too, not just "import and build." Mobs are a tricky thing to manage once they get rolling. Especially mobs of internet trolls. Tom_Veg, TenKHoursDev and angrypenguin like this. Exactly what I was going to say. Also, these youtubers fail to educate their dumb audience, so they now think that "asset flipping" is just when you use any asset at all, and not when you just sell/reskin a game template. I was talking about tricks to make things work and kinda hide the fact that they were assets....one of the assets I bought for sound effects has one that is meant for impacts on concrete slabs....it actually works perfectly for my game, as the sound asteroids make colliding with stuff. It somehow sounds good to me, but since it is totally different from the "common" use of that sound effect, it is that much harder to recognize. It's in a whole different setting. Thank you for your responses! I'm feeling more confident about using assets and you've given me great ideas for how to use them properly. It is because there are very stupid, brooding, hateful unwashed dullards on the internet who might fool themselves into thinking they are more important in a sea of mindless incompetence, rising to the lofty heights of flotsam, if however brief. carking1996, wetcircuit, Tom_Veg and 2 others like this. I've actually bought a game or two because it had an asset that I recognized. Surely I'm not the only one. I said "cool! Somebody made game with that silly Animal Friends pack". carking1996, uonlyliveonce, dogzerx2 and 2 others like this. I think its only a problem if you take a say a premade pack that has a ready made scene, and simply use that scene with some gameplay scripts from the asset store. At that point, you have basically not made a game but cobbled together one from other peoples work. Thats a true asset flip. The problem is, lots of people now believe an asset flip is any use of assets, which ofcourse is not the case. If you have built some part of the game yourself, then its not a flip. Ultimately, if your a programmer you need art, if your an artist you need code, etc etc. Sometimes you need to source stuff rather than have a go at making it all yourself and do terribly! The fact that you are asking these questions shows that you likely wont be making an asset flip anyway, so dont worry and get to making that game! carking1996, wetcircuit and uonlyliveonce like this. I think it irks people when they feel a disconnect. That comes from people not finding the right asset or simply not modifying them sufficiently to make them consistent. For example, if the level is some sci-fi spaceship, it’s jarring to see a smith and Wessen. Or if the shotgun has some fancy reload animation but the pistol asset they had didn’t come with one so they just bring it below the screen to reload. Assets are good, but only when used in their intended way: as frameworks to work with, not something to drag and drop in. uonlyliveonce, dogzerx2 and hippocoder like this. Gasp! You might have to create a script to stop them! Before it's too late! I publish on asset store, so i'm biased. But regardless i will say there is nothing wrong with making game using assets from asset store. Is it better to have original unique 3D characters, environments? Yes it is, but it is much more expensive. How much is that better then? Make cost benefit analisys and decide. As for me, i'm biased here as well since i also do custom characters by demand as freelancer. So it's a win-win for me . As for those who complain against assets on the internet. Just haters who have nothing to do in life, they should be ignored. QFSW, uonlyliveonce, Kiwasi and 1 other person like this. Wow, that looks great! Thanks for the tip on not using demo levels. I almost did that. (Some demo levels just look so cool because the author of the asset is a much better level designer than I am, so it's very tempting). xP If anyone else has any examples or screenshots of how you customized assets from the store to match their game's style I'd love to see them! Thanks man, kitbashing is super fun. These cargo wagons Im proud of. Didn't Unity make a lovely video using store assets? Oh, here it is. AndersMalmgren, Rotary-Heart and hippocoder like this. That's exactly what they are saying here, is not about using store assets. Is that some people don't even take a minute to think how to implement it on a unique way. I doubt that if any "asset flip" game would look like that people will complain about it.